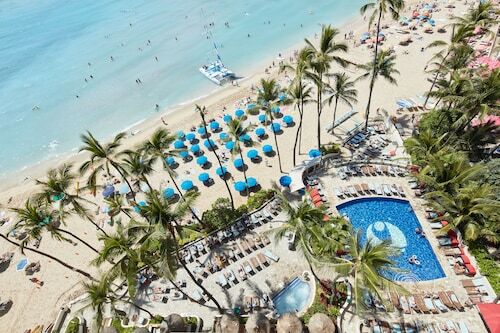 Friendly Honolulu is located on the gorgeous island of Oahu in Hawaii. Its warm climate, colorful views and relaxed vibe make it a desirable destination for vacationers the world over. A fun city with welcoming inhabitants, it is renowned for its sunny climate, surf spots and important history. As your eyes take in the blue skies, white sands and lush greens, you’ll know you’ve arrived in a tropical paradise. On the shores of Waikiki, the waves are usually mild with warm and inviting waters. Stands set up on the beach rent out surfboards to the experienced and the novice alike. Riding a wave into shore is a thrill unlike any other, and lessons are available to help you catch some barrel (that’s pro talk). Give it a try and you will know firsthand why some people build their entire lives around surfing. With over an astounding 50,000 pieces of art work, the Honolulu Museum of Art .has a collection spanning the millennia, from ancient times to the present day. Local pieces and famed works of art create a visual history for visitors to feast their eyes on, from the likes of Pablo Picasso, Andy Warhol and Claude Monet. Films and concerts take place in the theater, and outside the verdant gardens await explorers. Get creative at one of the classes, where you can create your own beautiful and distinctive art to take home. An opportunity to pay your respects, the Pearl Harbor Memorial honors the generation that sacrificed everything over half a century ago. History buffs can explore Pearl Harbor and learn more about what happened that fateful December day in 1941. Tours are conducted regularly, and knowledgeable guides are available to answer any questions you may have. Cascading waterfalls, exotic greenery, imposing mountains and interesting wildlife are abundant on the island of Oahu. From Honolulu, it's only a short trip by car or tour bus to a fantastic outdoor adventure. The views, it should go without saying, are extraordinary. The trails have varying levels of difficulty, so be sure to consult with a guide before picking one. Family-friendly trails are available for those with small children. Downtown offers much more than simply a few choices in accommodations, with Honolulu hotels available for every taste and budget. 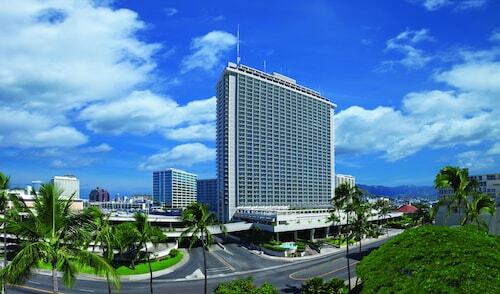 The Marriot Resort and Spa Rooms is just one of the high-rises that compete for the best ocean views along the Waikiki beach skyline. Many of the resorts are a quick walk from the water, and those who stay here are often seen walking to and from the beach with picnic baskets in tow. Because of its location near to the equator, Honolulu has a tropical climate with temperatures rarely exceeding 90 degrees Fahrenheit or dropping below 60. It rains an average of 70 days per year, and while more rain falls in the winter, the number of rainy days is essentially the same. This makes Honolulu a great place to visit at any time of year, and for many people, it serves as a reliable escape whenever a much -needed break is in order.